The Toronto Hydroplane and Sailing Club is located at Ashbridge’s Bay, on the north shore of Lake Ontario. We’re adjacent to the boardwalk, the Beach, Queen Street shopping and acres of beachfront parkland. Our club offers a wide range of boating facilities, including excellent dockage, with individual finger piers for approximately 100 boats, and dry storage for trailered boats. Our attractive clubhouse provides facilities for functions and individual use. Our spacious, landscaped patio with barbeques and shaded tables is a perfect spot to relax after a day’s sail. A fully equipped kitchen, showers and lockers are all here for your convenience. The grounds include parking, a workshop, boat and mast storage facilities, a dry sail launch ramp and mast crane. The strongest resource at THSC is our club members who come from all walks of life and bring diverse experience to the club. Our common bond is our love of boats and boating. THSC offers an ideal range of activities, from cruising to racing, for boaters who are looking for camaraderie, convenience and value. Download our two-page Visitor’s Guide with map or phone 416-694-6918. 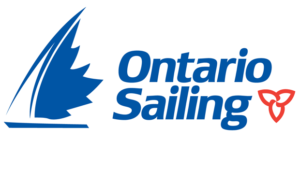 Written by: Toronto Hydroplane and Sailing Club on November 30, 2015.